The adorne interior intercom unit Works in tandem with one exterior video doorbell camera to see who’s at the front door from multiple locations in your home. 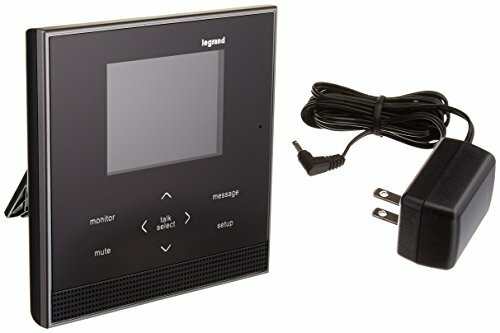 The video doorbell camera transmits images from the front door to every Intercom unit throughout the home, and each interior unit can communicate with other interior units via Audio. Includes a power cable and must be plugged into an existing outlet. It can be surface-mounted to the wall, or placed on a tabletop through use of the integrated easel back. System limit is three interior Intercom units per system.